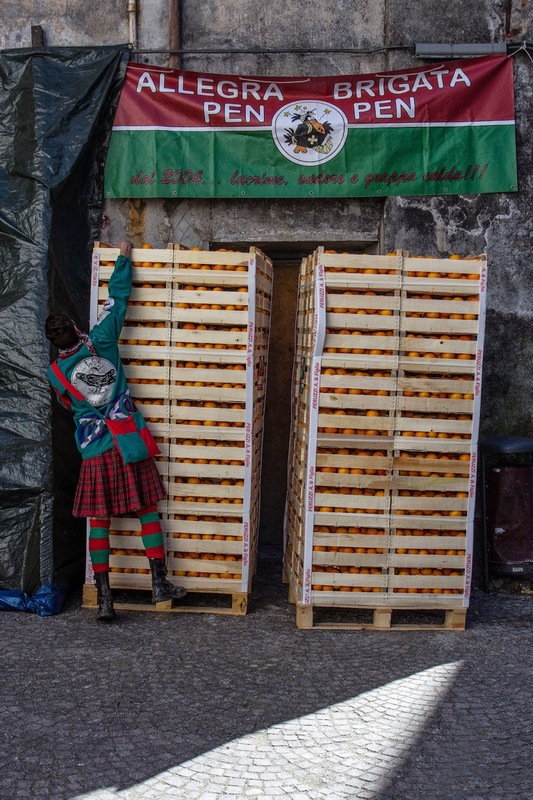 The battle of the oranges is the climax of the Carnival celebration in Ivrea, a small town in the Piedmont region, up in the Northwest part of Italy, at about 40 minute driving from Turin. This is also the area where Erbaluce di Caluso - the fairies wine is made. In 2014 the battle took place on March 2nd and it attracted up to 50,000 visitors worldwide. 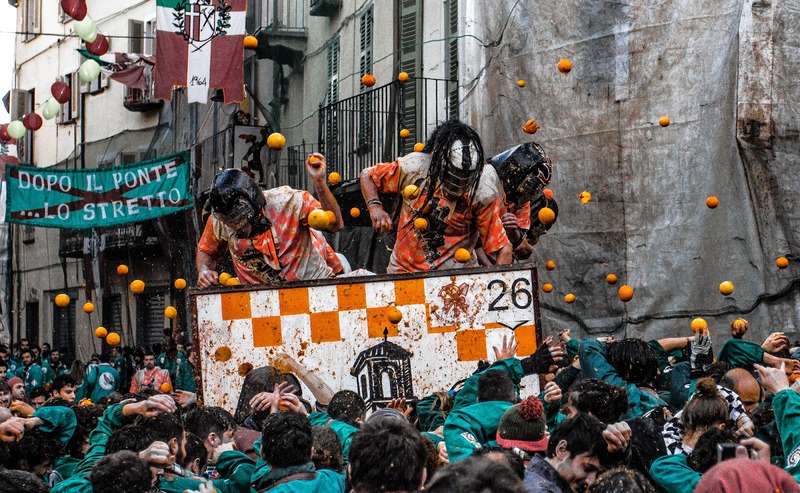 - finally, the battle of the oranges, the largest Italian food fight we know today, started after WWII. The Carnival season traditionally starts on January 6th when the penny-whistlers and the drummers march around Ivrea to announce the beginning of the Carnival season and the General and his staff get invested. 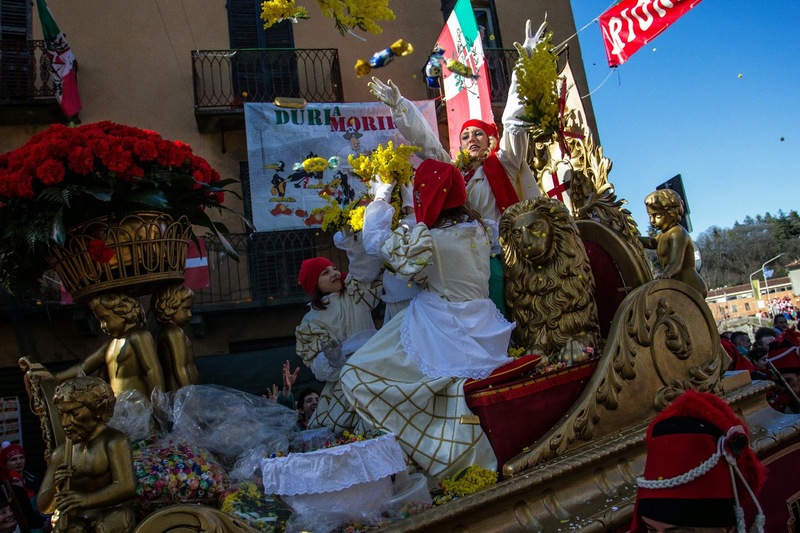 In mid-February the Abbá paraded through Ivrea wearing their Renaissance costumes and on the Sunday preceding the Carnival week-end (in 2014), the 48 Orange throwers’ chariots were publicly introduced. On Mardi Gras or Fat Tuesday, the General ordered all passersby and visitors to wear their red caps or they would get hit by the oranges during the battle! On Fat Friday, there was a torchlight procession followed by an itinerant dinner with a menu consisting of all the main Carnival specialties. Needless to say, that the participants were wearing their original historical costumes. The heroin of this Carnival is Violetta or the miller’s daughter - la mugnaia whose impersonator is picked every year among the newest local brides. As this is an important public role, I am told that chosen girl also needs to pay quite an expensive fee to become Violetta! This year, she will be publicly introduced on February 14th. Violetta symbolizes the regained freedom from the local tyrant: in fact, the legend has it, that having the lord of Ivrea imposed on the local population the jus primae noctis, a miller’s daughter followed him to his castle to comply with the law. However, having fallen asleep, after drinking all the wine Violetta had served him, she cut off his head and showed it to her villagers from the balcony of his castle. Naturally, nowadays, Violetta only sways only an orange stuck on her sword. 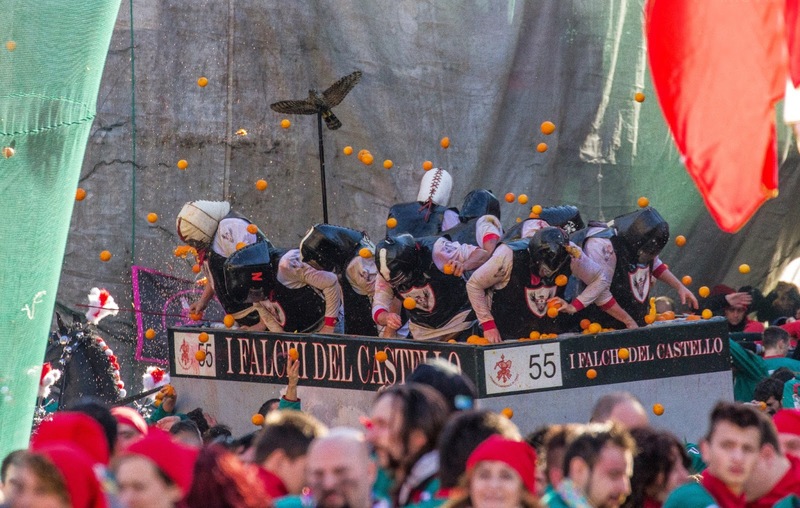 In 2105, the battle of the oranges, the Carnival main event will take place on February 15th and 16th making of Ivrea THE place to be this time of the year. 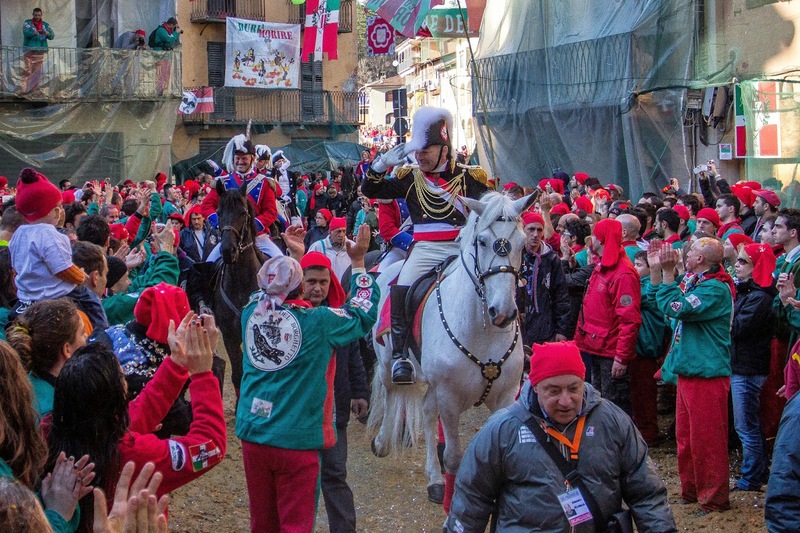 In 2014, we experienced this terrific event together with other 50,000 people who had arrived in town since 9am in time to enjoy the typical fagiolata - the Carnival bean soup distributed around town. This bean soup is a medieval tradition remembering the poor conditions of the local population and how just once a year the Lords of Ivrea used to distribute beans to the poorest families. 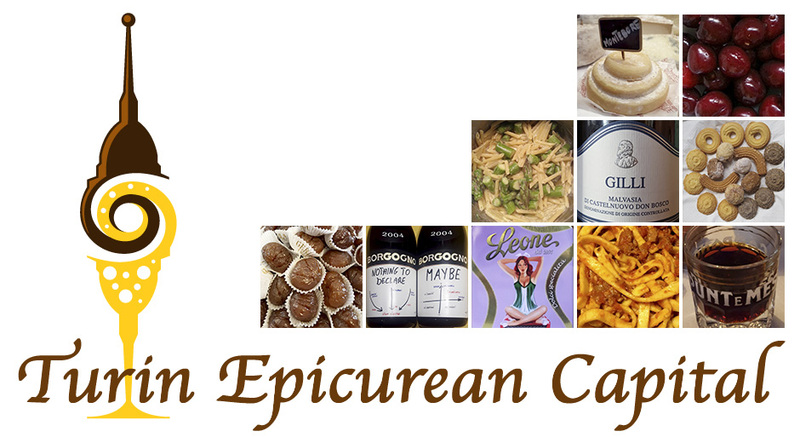 Throughout the centuries, the beans became the symbol of the population and got incorporated into the Carnival. The soup is the last meat based meal eaten before the Catholic dietary restrictions observed during Lent. This soup is prepared since the previous Saturday night in traditional pots called: tofeje, round clay pots with holders, where the beans are simmered together with different pork parts, including pork rind, tiny salami and some bones. 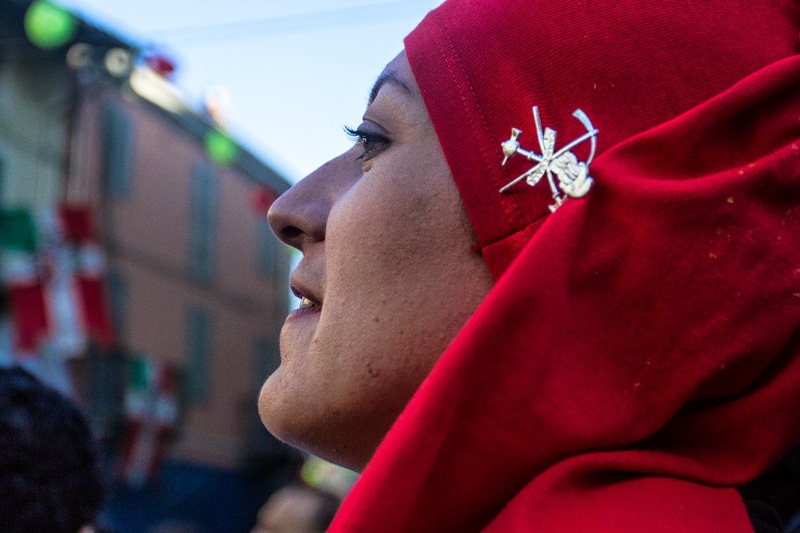 Last year, we got to Ivrea by train around noon to avoid the hassle of parking our car, and, as we put our red caps on, we felt part of the Carnival atmosphere right away. 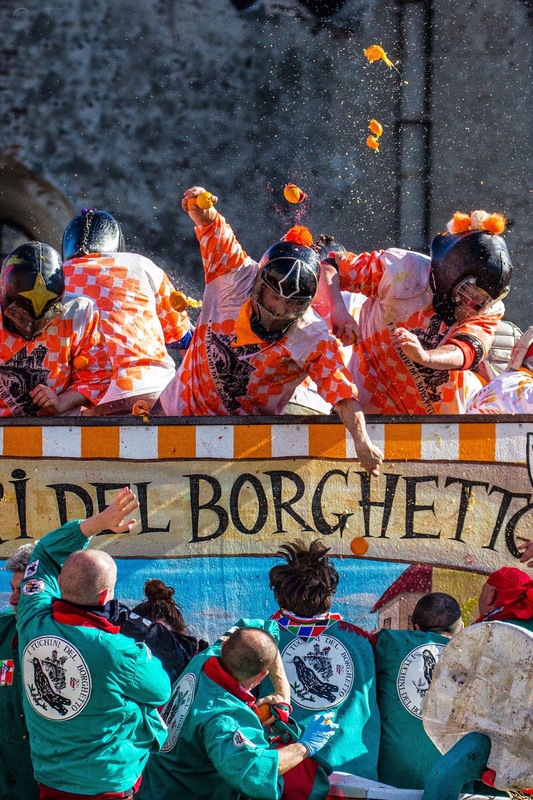 The battle of the oranges started on the bridge near Piazza del Borghetto where 9 teams and 48 chariots started moving. The battle wandered around town and following it through the lanes and squares was physically impossible due to the multitude of visitors. The Sunday battle was divided into two rounds: the first one from around 2pm to 4pm, when the parade led by the miller’s daughter, the penny-whistlers and the drummers crossed the town. The streets of the battle were covered with protection nets to prevent the visitors from being hit. However, no matter where you were, already after the first thirty minutes, the intense scent of oranges pervaded the air and it felt like being immersed in a humongous pool filled up with orange juice. This overwhelming citrus wave stayed in our noses all the way back home. At the end of the first round, the streets were covered in about 20cm/10in. of smashed oranges, and thanks to the break, the crowd of spectators could move around. We took advantage and moved to Piazza Ottinetti, surrounded by the arcades, where the final act of the battle took place. Finally, at 5:30pm, throwers and street fighters (both men and women!) stopped throwing oranges at each other like crazy, spraying orange juice everywhere and on everybody; the 18th century style tunes of marching penny-whistlers and drummers invaded the streets and accompanied some of the visitors back to the train station and their cars. With both our noses and eyes numbed by the strong orange scent and the orange color of the streets, alternating only to the sea of red Phrygian caps, we and some of the other visitors left Ivrea exhausted but happy of having experienced such a picturesque event! The battle, as always, resumed on Monday but the real conclusion of the Carnival was as usual on Fat Tuesday, when the winning teams (both on foot and on the chariots) were awarded. Following the awarding ceremony, the miller’s daughter led the historical parade and the bonfires were lit up in each neighborhood, before the Carnival funeral started. This is a mock funeral complete of a marching band playing sad tunes around Ivrea, followed by a procession of red caps up to Piazza Ottinetti. There, after getting off his horse, the General always says "arvedze a giobia ‘n bot in Piazza Ottinetti” - lit. “See you on [next Fat] Thursday at noon in Piazza Ottinetti” in the local dialect, thus declaring the official end of the 2014 Carnival edition. This is a modified version of an article first appeared on the Travel Chronicles e-zine, in March 2014. 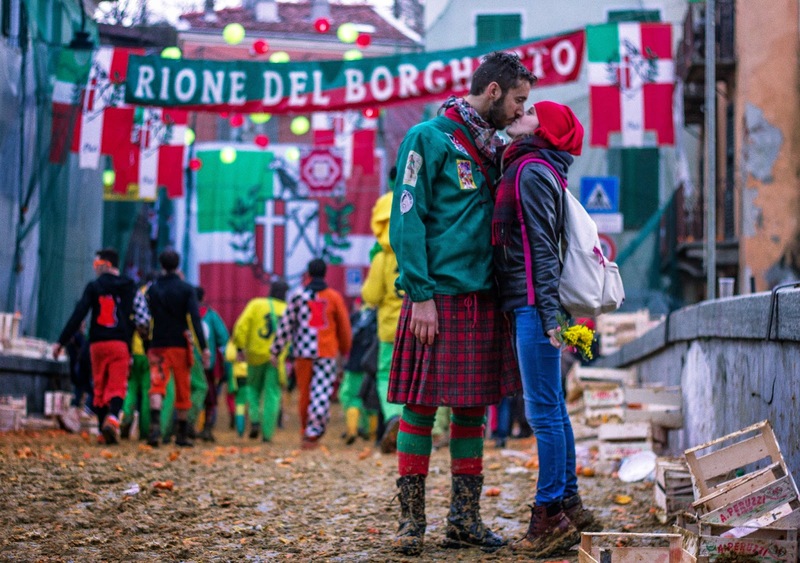 All the Carnival pictures are by Valerio Minato, a very talented photographer from Turin. Living in the Langhe: No snow? Try Carnevale! Uncorkventional: At Carnival anything goes - especially wine! Love the photos! Wow, 10 in. of oranges. I've been meaning to go to the Battle of the Oranges (maybe next year). Definitely a one-of-a-kind Carnevale. Very interesting story about Violetta too!